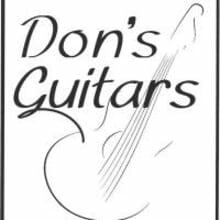 With over 40 years of experience in music retail and repairs, Don's Guitars is here to meet all of your guitar needs! We are located next door to USPS and FedEx shipping centers. We prefer to use USPS for small packages and FedEx for larger packages. If you have a preference for shipping, please indicate via direct message. *Buyer will pay return shipping on any new or used items purchased from our store unless the item arrives in a condition other than described. *Restocking fee applies to NEW ITEMS ONLY. *Many of our items are sold on consignment and will be marked as such in the description. All consignment items are NON-RETURNABLE unless they arrive in a condition other than described.